Add a Listing of your help desk related product or service. We will list it Free of charge. 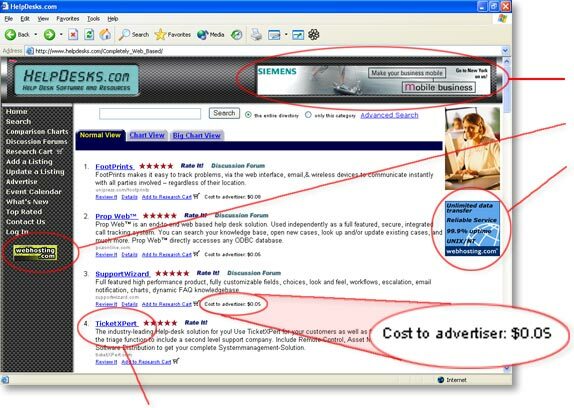 Enhance your listing position with Pay Per Click advertising. Send us your banners. We offer low cost banner advertising. Your listing goes here, free.